Thank you for visiting this page and for your willingness to support our cause. 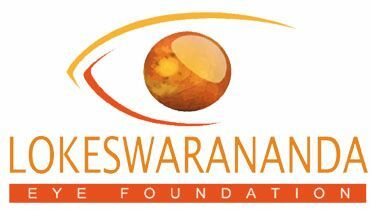 Lokeswarananda Eye Foundation , is an eye-care initiative under NANRITAM ,a non profit organization. Our FCRA no is 147120781. Your donations to NANRITAM will support the programs of Lokeswarananda Eye Foundation. Lokeswarananda Eye Foundation is an eye-care initiative under NANRITAM, a registered non-profit organisation under Society Registration Act (Registration no S/1l/8102 of 2001 – 2002). Your donations to NANRITAM will support the programs of Lokeswarananda Eye Foundation and are eligible for tax deduction under section 80G. Our FCRA no is 147120781. Please ensure that post fund transfer , you fill up the donation form clearly and forward it to [email protected] You will receive an acknowledgement of the receipt and required documentation by mail as soon as we receive the funds. All donations to NANRITAM are exempted from Income Tax through our 80G registration.